I am overwhelmed with the fabulousness that has arrived in my email. Speechless. and i feel bad for my wallet....that thing will be supermodel thin. A fabulous collabo with MAC Cosmetics, Hello Kitty and Henri Bendel is coming. Mac will be launching their Hello Kitty Collection at Henri Bendel's Fifth Ave location. Lucky sons of. *that's in ode to my gal pal. we're learning italian so we can slyly talk/email smack about others. translation via freetranslation.com: oh my gosh. 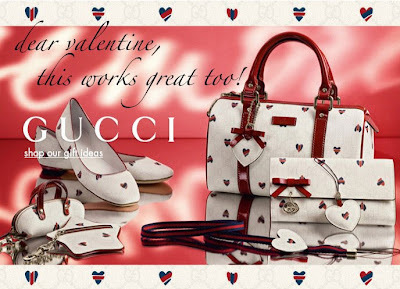 Enhance your (or your valentine's) wardrobe (and art collection) with Louis Vuitton's limited edition Tribute Collection to Stephen Sprouse. 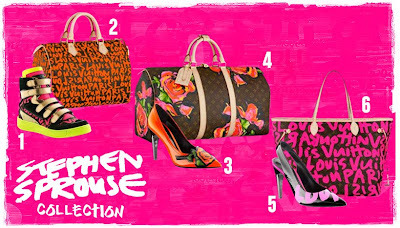 LV captures Sprouse's signature style in this day-glo, graffiti adorned collection which includes leather goods, accessories, shoes and clothing. Wouldn't this be the coolest color palette/theme/motif for your next partay?! 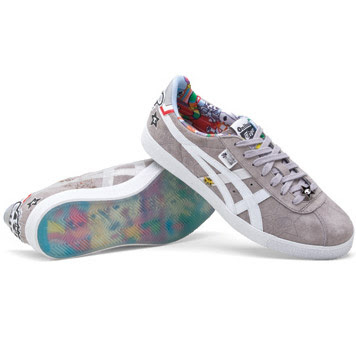 Another Onitsuka Tiger by Tokidoki that i think i need. argh. Presale going on now. Schedule to ship out on feb 4, giving y0u plenty of time to add more to this wonderful valentine package you are creating.